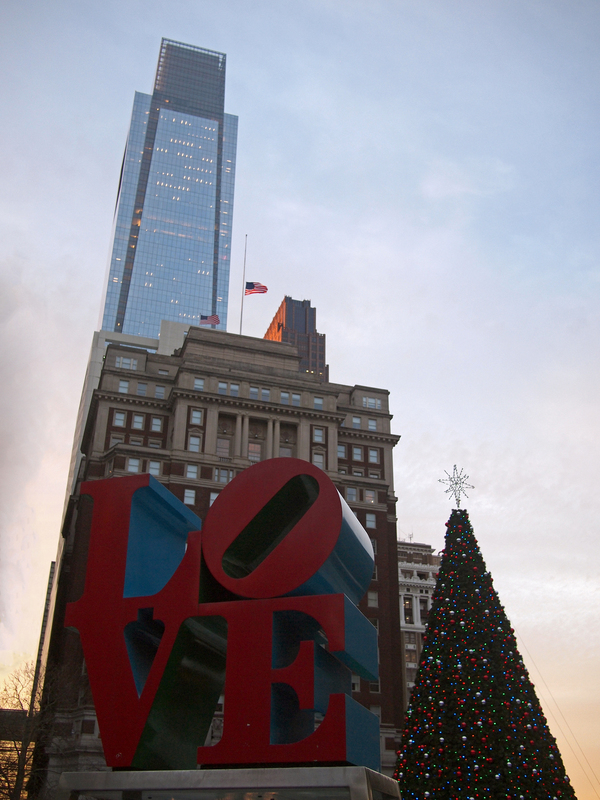 The iconic Robert Indiana LOVE sculpture positioned in front of the Love Park-City Hall Christmas tree, the Phoenix Building, and the Comcast Center, 19 December 2013. 20 Dec	This entry was published on December 20, 2013 at 7:27 am and is filed under Architecture, Center City. Bookmark the permalink. Follow any comments here with the RSS feed for this post.